Claire B. McIntosh, Au.D. - Hearing Evaluation Services of Buffalo, Inc.
Doctors > Doctors of Audiology > Claire B. McIntosh, Au.D. About Claire B. McIntosh, Au.D. Dr. McIntosh has been with Hearing Evaluation Services since 2015. 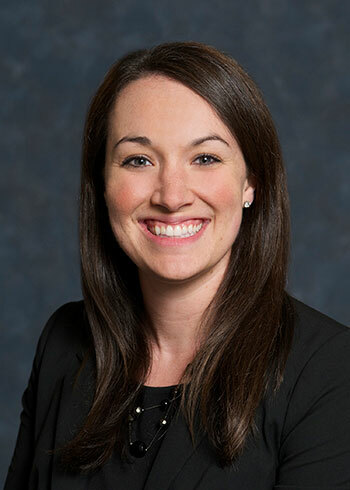 She is a graduate of Northwestern University and comes to us from the University of Rochester Medical Center where she originally began her career in Audiology. In addition to her Doctorate in Audiology, Dr. McIntosh also has a degree in Psychology with a minor in Educational Studies. During her time at the Univeristy of Rochester, Dr. McIntosh participated in the Leadership Education in Neurodevelopmental and Related Disabilities (LEND) Program which aimed to improve the health of infants, children, and adolescents with disabilities. Dr. McIntosh has also studied abroad in Denmark where she worked with young children in a childcare center. She works with both the adult and pediatric populations at HES. Dr. McIntosh is originally from Rochester, NY. She lives in Buffalo with her husband, Matt.